Prostate cancer is the most common type of cancer in men worldwide, and whilst many men can live for years after being diagnosed, it still causes a significant number of deaths. Diagnosing prostate cancer at an early stage is important to reduce a man’s risk of dying from the disease, but tests currently used to diagnose prostate cancer are sometimes inaccurate and can cause significant side effects for patients. Magnetic resonance imaging (MRI) scans of the pelvis could potentially be used to investigate men with symptoms that might indicate they have prostate cancer. Recent studies have suggested that MRI scans may be accurate enough to decide whether or not such men would need to undergo a procedure to take a biopsy of the prostate to confirm they have cancer. These studies have all been conducted with men who have been referred to hospital, and it is not yet known what impact these MRI scans could have for patients in primary care. This project will utilise a number of methodologies to explore whether it would be safe, acceptable, and cost effective for GPs to order MRI scans for men with symptoms suggesting a possible diagnosis of prostate cancer. 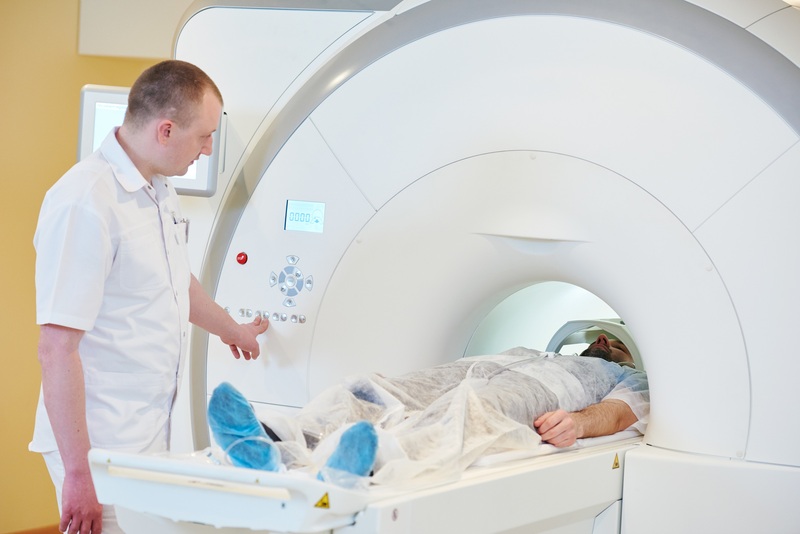 Systematic reviews will examine the evidence that already exists relating to the cost effectiveness and patient outcomes of MRI scanning for men with possible prostate cancer. A qualitative interview study with healthcare professionals and patients will seek to understand their knowledge and attitudes towards using MRI scans to diagnose prostate cancer. Cost effectiveness analysis using a Markov model with data from recent trials of MRI scans in prostate cancer and NHS costing data will produce estimates as to whether using MRI scans in primary care would be cost-effective. It is anticipated that this project will generate at least 3-4 publications in high impact, peer-reviewed, academic journals to share the key findings from the studies. The health economic modelling could potentially inform future policy and clinical guideline decisions around the application of mpMRI in the diagnostic pathway for prostate cancer in the NHS. If this project finds mpMRI to be safe, acceptable and cost effective as a diagnostic test for prostate cancer, it could form the basis for further work piloting its use in primary care as a direct access diagnostic test. This pilot work could lead to a full cluster randomised trial. Work on this project is already well underway. The systematic review regarding patient centred outcomes associated with diagnostic tests for prostate cancer has commenced. Ethical approval is being sought for the qualitative interview study of patients and healthcare professionals.